Apple Watch Series Goes Official With $399 Starting Price - Playfuldroid! Through an unveil event in California, US, Apple announced the iPhone XS, iPhone XS Max and iPhone XR. 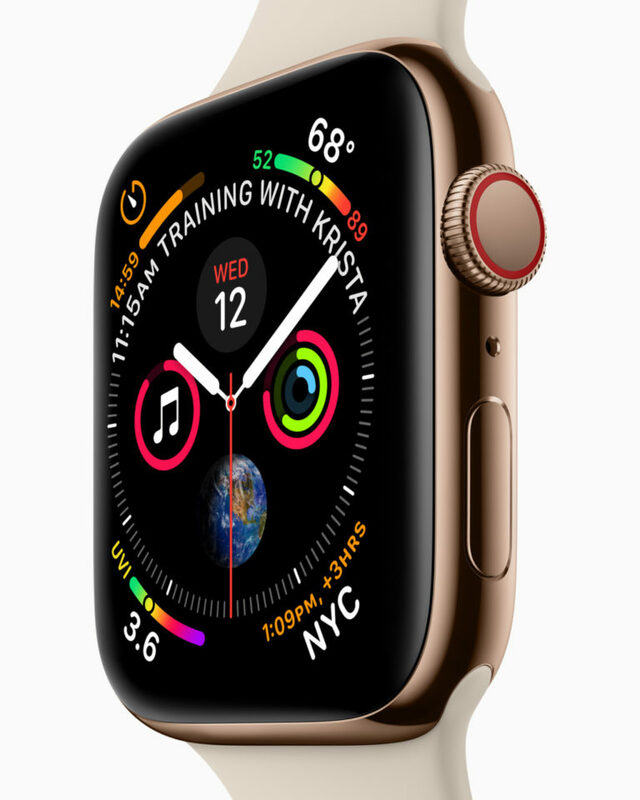 It also launched the Apple Watch Series 4 at the same launch event with the starting price of $399. The Apple Watch Series 4 comes in 40mm and 44mm size options. The screen of the smartwatch has increased by 30 percent compared to the predecessor model. The Digital Crown is enabled with haptic feedback. The smartwatch is powered by 64-bit S4 dual-core processor which is twofold faster than the predecessor S3 processor. It comes loaded with watchOS 5. Also, the exact size of the battery of the device is not known. What is known that it can last for an entire day by charging it once. The new OS comes with advanced health-centric and communication features. The Watch Series 4 has a new accelerometer and a gyroscope. It is also equipped with a new heart rate sensor. The ECG app is available on the device to take an electrocardiogram. It also features Siri voice assistant. The microphone of the Apple Watch Series 4 is 50 percent louder than last year’s model. The GPS edition of the Watch Series 4 is priced at $399. Its GPS + Cellular edition carries a pricing of $499. Apart from anodized Silver, Gold and Space Gray, the device can be availed in stainless versions of Gold, Silver and Space Black.